Built for the demands of rugged upcountry Big Island, our Kohala with waterproof leathers combines signature OluKai comfort with a tough work ethic. 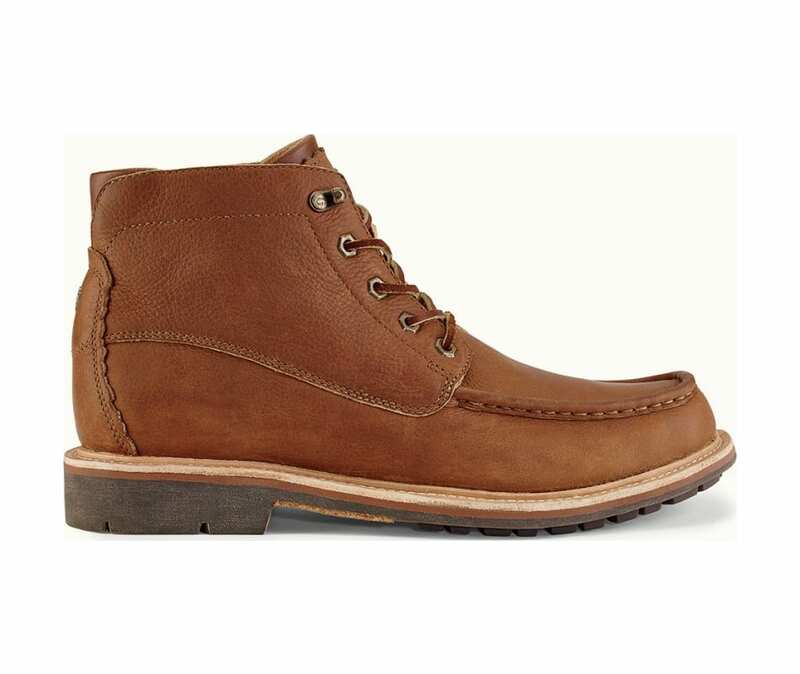 Durable, high-density, non-marking rubber outsole with embossed leather arch insert and leather welt. Triple-layer anatomical EVA footbed. Multi-density EVA provides lightweight cushioning and support. Moisture-wicking microfiber cover, removable.